Premanand’s popular book, “Science versus Miracles”, has not been available for some time now. Since Premanand himself was the distributor of the books he published and since he did not make any specific arrangement to reprint and distribute the books he brought out under Indian Skeptic logo, after his death there was noone to carry on the job. 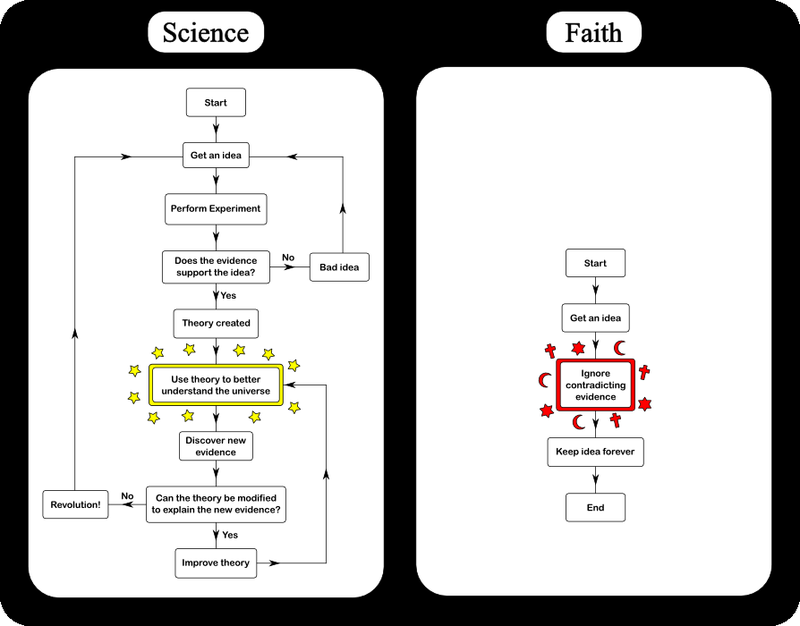 “Science versus Miracles” was and continues to be a handy manual for those activists who want to debunk the so called “miracles” performed by Indian godmen. Since Premanand’s death we have received a number of queries about the availability of this book with us or in bookstores. We have already uploaded the pdf version of the book at a file sharing website. To make the book more accessible online, we will now be, over a period of time, publishing sections book (slightly edited by us) in html format on our blog. Some of the experiments given in the book are not directly related to any the so-called miracles genrally performed by godmen or women. These sections will not be uploaded on to our blog. The Preface written by Dr PM Bhargava, former director of CCMB, Hyderabad will be uploaded at a later stage. An interview with Premanand, which forms part of the book, will also be uploaded later. Every Indian citizen has the right to believe in god, or not to believe in god. This right is restricted by the understanding that individual belief and its practice must not harm the beliefs or practices of others. Every religion conceives god as Perfect, Omnipotent, Omniscient and Omnipresent, and as Creator, Protector and Destroyer of the Universe. While this belief in god is a philosophy of life, religions exploit the beliefs of the people. India has the four finest philosophies of the world, Dvaita, Vishishtadvaita, Advaita, and Nastikatva. Dvaita philosophy is for those of fearful mind who need an idol of god – a visual object – which they believe will protect them. Vishishtadvaita is for those who are a bit more evolved and who do not need visual objects to give them strength and courage. They can mentally visualize a supernatural being, who can help them in times of need. The third philosophy, Advaita, is for those who have courage and are fearless n the conviction they themselves are god – Aham Brahma Asmi. When such a believer starts his life’s journey with this attitude he finally discovers that he has his own limitations. Then we have Nastikatva and Humanism, where a man knows his limitations, but works for human progress through rational approach to problems. Belief in God is not a problem for humanity. It is religion which creates dissidence between the people, destroying the peace and harmony of a society and thus hampering the progress of humanity. What is harmful is that a few persons claim to be incarnations of god or all the gods put together. Having attained siddhis (Supernatural Powers) through meditation or practice of Kundalini Yoga, or claiming to be possessed by gods and goddesses, they publicize their miraculous powers of creating something from nothing, and the Ashta Siddhis (eight supernatural yogic powers) and thus exploit credulous people. A miracle is a phenomenon that seems unexplainable by the laws of nature. So it is held to be supernatural in origin, or ascribed to be an “act of god”. Supernatural implies existence outside the natural world, especially not attributable to natural forces or attributed to the immediate exercise of divine power. A mystery is an unexplained natural phenomenon abut which we do not have any explanation yet. Much of the natural phenomena which people originally thought to be miracles or acts of god, have now been explained as natural laws and so are no more miracles, but mysteries. Creation means producing something out of nothing. Manufacture means producing something using raw materials. When there is nothing called nothing, nothing can be produced or created out of nothing. For making anything there should be raw material or mater. The theory of conservation states that mass and energy are the two sides of the same coin and they can nether be created nor destroyed. But godmen claim that they can create anything from nothing. The theory of relativity teaches us that mass is transformed into energy and vice versa, and what ever changes we see is the outcome of one transforming into the other through physical and chemical reactions. These are not destruction or creation. But godmen claim that they can bring about a transformation of one of the other through their mental or psychic powers. Therefore the claims of godmen that they can create anything from nothing and transform one to the other through mental power are opposed to these laws. If the claims of the godmen are false, then godmen should be prosecuted for cheating the credulous public in order to exploit them. Or, if they are true, the education department should stop teaching the theory of conservation and relativity to students. Let us examine the claims of godmen that they can created anything from nothing: Whatever they have produced so far are things which are already thre in our universe. They are things which they can hide in their hands or on their person. What they cannot hide in their hands or body are produced out of empty vessels, boxes etc, or form beneath their robes, earth or from sand. They have not created a space ship, an airplane, a train, motor vehicles, bicycles or buildings, because such things cannot be hidden. Though they are using the results of science, no godman has so far invented anything, from a pin to spaceship. The first question put to them is if they can create anything from nothing why do they not come forward for investigation of their claims under fraud-proof conditions. They answer that their miracles are beyond human comprehension and therefore beyond the method of science, so they cannot allow themselves to be investigated. One of our Supreme Court Justices, VR Krishna Iyer argued thus: “How could you question Jesus Christ about whether he is the son of god?” You have to believe the claim or reject it. In religion and god, there is no questioning; one has to have implicit faith. Bu what is this faith? The definition given to the word ‘faith’ is: “Something which you have not experienced”. Yet these godmen are human beings, born the same way we are all born, live and die. If these supernatural powers are indeed beyond human comprehension, how have they come to posses these powers? And if they have acquired these powers, or if these powers are their inborn qualities, how can they be beyond human comprehension? Suppose we accept, for the sake of argument, that these self-professed avatars or godmen may have supernatural powers. But when another person duplicates an act of creating object from nothing in the same way, surely they have a moral obligation to demonstrate that their method is not that of an ordinary magician who uses sleight of hand, chemicals, mechanical apparatus and body science to produce the same effect. Surely they are liable to investigation as proof their claims to godhead. It is only after they allow investigation and prove beyond doubt their acts are not tricks, that their claims to powers beyond science and human comprehension can be accepted. Sleight of hand means the skill of performing tricks or feats so quickly that the manner of execution cannot be observed. It is for this reason that the hands and body are moved. The movement hides from the sight of the onlookers the conjuring act of creating objects, making object to appear, disappear, or transforming one into another. Let us study the movement of a highly influential godman calling himself “Satya Sai Baba”, who has followers among the bureaucracy, law enforcements departments, revenue and customs departments, judiciary, state and central ministries, and among the elite and the influential. He claims to create anything from nothing, transform things from one to another, cure incurable diseases, resurrect the dead, and posses all powers so far unimagined by human beings. He claims them to be his inborn nature or power and describes himself as a personification of all the gods put together’ “Sarva Daivatva Swaroopa”! A magician also produces holy ash the same way this self-proclaimed avatar produces it. He moves his hand, palm down, circling two or three times, and in a flash holy ash appears to drop from his finger tips. This is the same quality and even has the same perfume because it is purchased from the same shop where this godman also gets his supply.